A good friend from college just bought a home in Newport, RI, and this window is my pineapple. Let me explain. Pineapples have long been a symbol of hospitality but to celebrate my friend’s housewarming, I wasn’t feeling the pineapple so I went with a window instead! This transformation is pretty straight forward–I sanded, primed, painted and finally, distressed the window. Don’t think I need to go into any great detail. What I will tell you is that the final product went from being a window with glass to a window … without glass. I was sanding this bad boy on the floor of my garage, and inadvertently knelt on one of the panes–Oops! 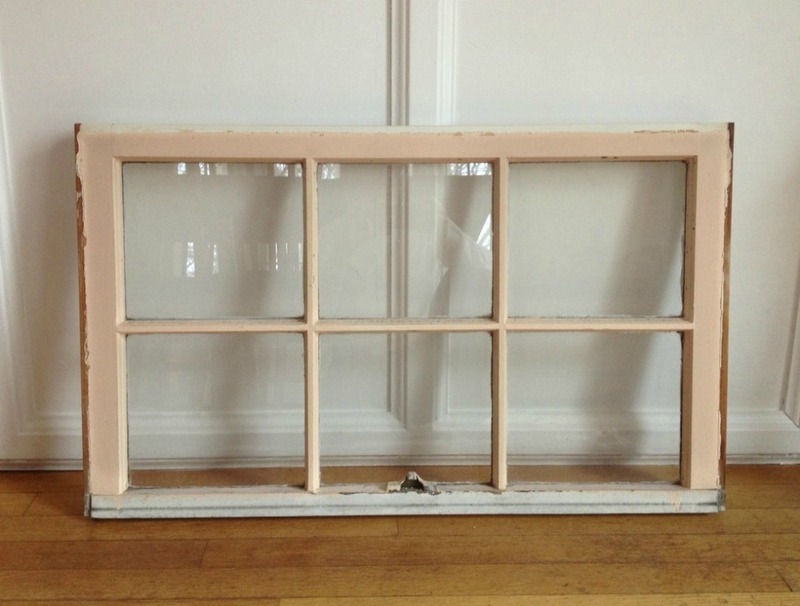 So then I put the window in an old dog food bag (to collect the glass) and used a sledgehammer to remove the rest of the panes to match. It turns out I like it better without the glass, so chalk that up to a successful mistake (believe me, I have had many unsuccessful mistakes). I had my husband drill holes in the frame so that I could string manilla rope to easily hang the mirror. He also tied the knots. I have yet to complete a project without his assistance. I guess this means I need to sign his name on the card, too. 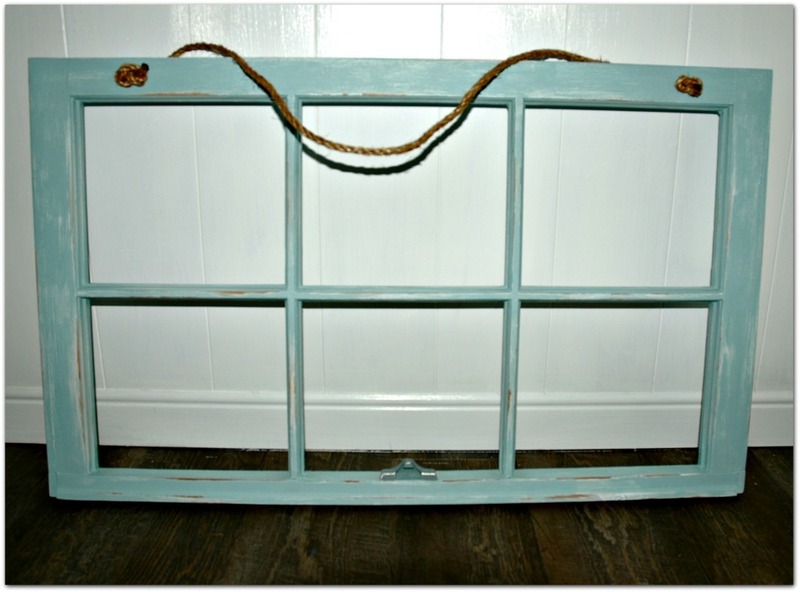 Because coastal and nautical items are so hot right now, I added the rope as a hanger instead of a wire and used a Caribbean-water inspired paint color. I hope it fits in perfectly at her new beach house. I hesitated hanging it on my own wall to take pictures because I was worried I might end up keeping it! What do you think of the final product?